For many young farmers with a few years of experience, the most difficult part of farming isn’t the hail, the bugs, the fickle customer, or the long hours. It’s a problem that has nothing to do with food: hiring and firing employees. Once a farm grows beyond one acre or so, an individual usually needs help. If you’ve reached that point, this blog post–while it can’t help you find a good worker–can help you understand employment law. When things are going great with your interns, worker shares, or seasonal laborers, you have no lawsuits, no lawyer, and no problem. But things can always go wrong. If farmers aren’t aware of what their rights and responsibilities are regarding employees, they might face some pretty uncomfortable consequences. Plus, we all want to be fair. The law is one place to start in deciding how to hire and pay help in a way that’s fair for everyone. It all started with the Fair Labor Standards Act passed in 1938 that established overtime pay, child labor regulations, and the first minimum wage at 25 cents an hour. The FLSA was landmark legislation and a key part of FDR’s New Deal. The FSLA applies to all employers that produce goods or services that affect interstate commerce. You might think farms who grow local food aren’t included, but the court wouldn’t agree. Another 1930’s-era lawsuit established that food production is very much connected to interstate commerce, even if the farmer is growing food for only his or her family. That said, farmers do get special treatment because they are exempted from parts of the FSLA. 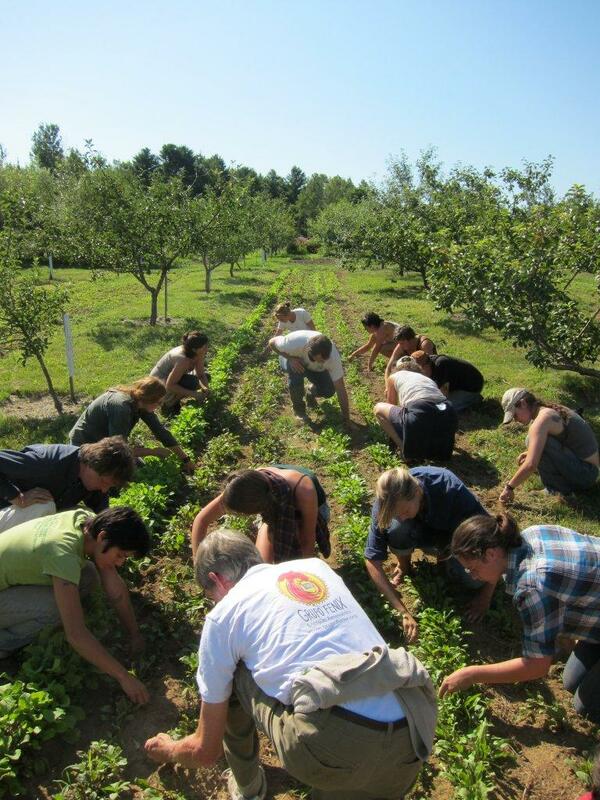 “Small farms” are exempt from minimum wage and overtime pay requirements. Determining if your farm is small or not can be tricky. Small farms use less than 500 “man‑days” of farm labor in any quarter of the preceding calendar year. What’s a “man-day?” It’s any day in which the farm hires an employee for at least one hour, as long as that employee isn’t a member of the farmer’s immediate family. Hiring five employees for one or more hours of work is equal to five man-days. Thus, a farm who hired five employees for at least 100 days in a three month time frame last year must adhere to minimum wage and overtime pay requirements this year. A farm that wasn’t “small” last year because they hired too many people must still adhere to minimum wage and overtime the following year, even if they downsize below the 500 man-hour calculation. The current year determines the legal obligations for the following year with respect to small farm status. But wait, that’s not all for exemptions! Although small farms, as defined above, are exempt from minimum wage and overtime pay, all farm workers (on farms of any size) are excepted from overtime pay. That means that a large-farm employee must be paid minimum wage, but may not receive time-and-a-half for hours worked beyond 40 per week, generally. Youth workers–those younger than 20 years old–may be paid a lower minimum wage for the first 90 days of employment. Workers who get paid by the piece may also be exempted from minimum wage and overtime if certain more complex requirements are met. So that’s a birds-eye view of the FLSA. If a farm doesn’t qualify for a small farm exemption, they can still pay less than minimum wage if they offer an internship or apprenticeship program. Those topics, along with migrant workers, WOOFers and more will be discussed in later posts. Stay tuned! What are the justifications for treating farms and farm workers differently under the FLSA- economic, cultural, practical or political? Since the FLSA was passed in the ‘30s is it time to rethink farm exemptions or is farming fundamentally the same? Rachel Armstrong is a law student and farm employee who is developing a legal assistance program for local food-oriented farmers and business owners. Check out her blog for more on local food and the law: www.smallfarmcommons.org. Disclaimer: These blog posts are meant to provide background information and not legal advice specific to your situation. In the interest of space, important information is abbreviated or excluded.